Many people prefer to exercise at home, rather than stumping up the monthly cost for a gym membership that inevitably goes unused. As the cost of exercise equipment falls, there are now more options available than ever. In this article we’ll look at the all in one exercise machine, also commonly known as the multi-gym. In contrast to other popular home exercise equipment like treadmills and exercise bikes, the multi gym will allow you to focus on muscle building workouts that help to build strength, rather than cardio fitness. We’ll also provide some info on how to find not just the best workout machine for home use but also the best all in one workout machine to suit your specific needs. Scroll through to continue reading, or use the links below to jump to the relevant section. 1 What is an All in One Workout Machine? What is an All in One Workout Machine? 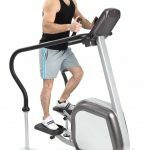 An all in one workout machine is a piece of fitness equipment which comprises multiple components. Allowing you to perform a number of different exercises, it’s a home fitness system which can provide you with resistance training through the use of pulleys, benches and weights. 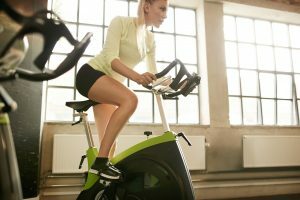 Essentially, an all in one workout machine is that busy gym of yours, but reduced into a size that can fit in your living space and doesn’t involve long wait times to use a piece of equipment. However, this doesn’t mean it’s a solo piece of equipment. The ‘multi’ aspect of many of these machines means that more than one person can work out at the same time. Frankly, if there’s a piece of equipment in the gym that you love, you’re more than likely to find it attached to an all in one workout machine. 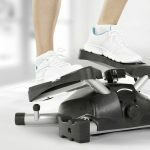 Though the upfront cost can be expensive, many people consider this to be the best workout machine for home use, as it enables you to do such a wide range of exercises. You can start out with simple exercises and progress to different ones as you increase strength, adding weight as you go as well. Much in the same way that they’re packed full of different pieces of gym equipment, an all in one workout machine also comes loaded with a whole world of benefits. And when you’re looking to improve your health and fitness, the more benefits the better. However, these are complex pieces of equipment, they’re not like a foldable stepper machine that you can easily set up in a few minutes and just as quickly store it away. Therefore, you may be wondering whether it’s the best option for your health and fitness needs. 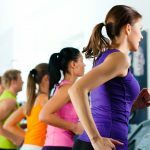 Indoors Workout – Heading out to the gym isn’t always convenient and, besides, in the winter, do you seriously want to be navigating cold, icy streets to get your workout? Thankfully, an all in one workout machine provides you with the opportunity to exercise your entire body from the comfort of your own home. Not only will this save you time in terms of travel, but there will be further time savings provided by the lack of queues to use the equipment. Full Body Workout – If you want to achieve optimal fitness then you need to make sure you exercise every part of your body. Sure, pieces of equipment such as ab cages are great at concentrating on a specific area of your body, but it’s at the expense of the rest of your muscles. However, with an all in one workout machine at your disposal, you can systematically train each and every part of your body all from one central hub; this grants your muscle groups the chance to grow in proportion and leaves you looking fantastic. Cost – The initial cost of an all in one workout machine can be expensive, but you have to think about the long term possibilities. These machines are sturdy, well-built and can easily last for years, in fact, many manufacturers provide lifetime warranties on their frames. When you compare this to the $50 payment you make to your gym every month, you soon begin to realize just how effective these machines can be for your body and your bank balance. Safe Workout – Thanks to the enclosed, all in one design and the reliance on pulleys, there’s no need for a spotter whilst exercising on an all in one workout machine. 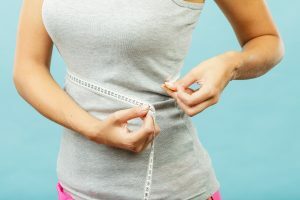 If you’re struggling with the weight then you can simply let go without causing damage to yourself or the surrounding area; this allows you to work out alone and really concentrate on your exercise. 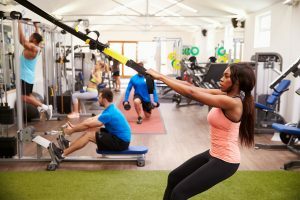 Great for Beginners – Although the amount of equipment housed within an all in one workout machine may seem daunting, it’s actually a fantastic way for beginners to get started with resistance training. Seeing as virtually every body part can be exercised, there’s the chance to explore the whole world of resistance slowly. As no free weights are involved, there’s also the added bonus of these machines offering a fixed path of motion for lifting weights – this helps to build your form, minimize mistakes and prevent injuries. More Hygienic – Let’s face it, gyms experience a lot of traffic and all that sweat provides a breeding ground for bacteria hence why many gym goers can pick up rashes and conditions such as impetigo. However, with an all in one workout machine, you can rest assured that the number of people using it is minimized and you can easily monitor its cleaning. Adaptable – Many all in one workout machines give you the option of purchasing new attachments, so you can easily change up your fitness regime once it begins to feel repetitive. It’s a luxury which is not offered by other pieces of home gym equipment as they’re naturally limited in their scope e.g. there’s not really anything you can attach to a treadmill as it’s purely concentrated on running. With multi gyms, though, you can adapt your regime and provide new challenges for your body – this is essential for seeing progress in your fitness and body development. All in one workout machines give you the chance to experience a full body workout in the comfort of your own home, so it’s not surprising that you’re interested in buying one. However, these pieces of gym equipment are major purchases and you need to know what you’re letting yourself in for. Cost – You need to seriously look into your available budget as the cost of an all in one workout machine can range from $400 – $2500, so this is no $50 product, it’s a significant investment and one that will make a real dent in your finances. Features – All the available machines come with various different features, so you need to consider what’s necessary for your needs and what isn’t. Naturally, this will have an impact on the price and which features you can afford. Space – All in one workout machines may be miniaturized gyms, but they still take up a lot of space. And they’re very difficult to move, so you need to take your existing space into account when looking to purchase one. 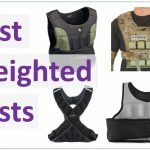 Alternatives – Do you actually need an all in one workout machine? It could be more cost effective to buy a set of weights for under $100. Or, you could just join your local gym and use all of the equipment without the hassle of storing and maintaining it. Or you may want to invest in something like an exercise bike for home use instead. 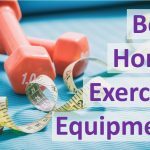 Weighing up these factors is really important to help you find the best workout machine for home use. Given that there are a large number of all in one workout machines available on the market, it’s always a good idea to understand a bit more about what’s available. And you can’t go wrong by looking at the machines which are most popular with consumers. Gold’s Gym is one of the most famous gyms in the world due to the endless list of pro athletes who’ve walked through their doors, so you know you’re getting something special when they’re involved. And the XR55 doesn’t disappoint by any stretch of the imagination. The high and low pulley systems allow you to complete full workouts for your upper and lower body, but doesn’t take up masses of space in doing this. Complete with a 125kg vinyl weight stack, the XR55 provides plenty of resistance to challenge almost all abilities and there’s also the added bonus of a 4-roll leg developer to really add definition to your legs. Packed full of features, the XR55 provides excellent value for money at around $400 and is the perfect all in one workout machine for those looking for a basic workout that won’t bankrupt them. The Gold’s Gym seal of quality is also applied to the machine’s build which is very sturdy and promises years of usage. The Soozier Home Fitness station provides amazing value for money and has so many features built into it that it will take you a long time to discover them all. It may not be the smallest all in one workout machine available, but it’s this size which defines just how versatile it is. The dual action press arms allow you to develop those pectoral muscles whilst the upper pulley system provides the opportunity to perform ab crunches with varying levels of resistance. And the leg developers – fully covered with foam for comfort – allow you to work your leg muscles. Overall, it’s a full body workout. The cost of the Soozier Home Fitness Station means that it’s just perfect for those with a low budget who want to get a full body workout. It’s also an incredibly safe piece of machinery as the weights are neatly stacked and never suspended above you, so it’s perfect for beginners who feel a little intimidated by the dangers of free weights. The Home Gym Machine by Ansef is another all in one workout machine that allows you to complete a wide number of exercises to help you get ripped, toned or just in shape. And the reasons for these varying options are due to the machine’s many possibilities. With a maximum weight load of 220lbs, there is plenty of room for users to gradually increase the intensity of their training. This weight comprises of 10 stackable weight plates to increase resistance and 2 dumbbells to complete a variety of free weights exercises. A sit-up bench and leg curl module ensure that you can work on your core and lower body, whilst the butterfly press station can quickly develop your upper body. Ansef have produced an all in one workout machine which provides a wide range of exercises and promises to really transform your body due to the variety on offer. And, despite all the features, it’s still a space saver and offers a viable option for those serious about their exercise, but with limited space. The EXM2500S by Body-Solid is a wonder of engineering as it somehow manages to attach countless features to its small, but solid frame. And with 210lbs of iron weight stack plates, it looks like something that has come straight out of a professional gym. Thanks to the presence of two sections, the EXM2500S is able to deliver a pec station, a press arm and upper, mid and lower pulleys. These features allow users to complete a vast selection of exercises not usually associated with lower cost all in one workout machines which tend to only have upper and lower pulleys, so it’s perfect for those who don’t have time to make multiple trips to the gym every week. Due to the cost involved, the EXM2500S is probably best suited to those who already have some gym experience and know that they’re going to take advantage of all the features. The dimensions of the project are also a plus point as it’s a real space saver compared to other multi gyms and will easily fit in any basement. With its striking yellow and black design, the WB-MS by Powertec is hard to ignore, but the most striking aspect of this all in one workout machine is the number of features on offer. Rejecting the world of pulleys to concentrate on what is very similar to free weight resistance, the WB-MS promises a sensational workout. With a three station design, this piece of equipment can support compound exercises such as squats and bench presses, but also work on isolated muscle movements including tricep presses and bicep curls. What’s remarkable about the WB-MS, though, is the amount of weight that it can hold; the chest and shoulder section can support a huge 500lbs load to really help you work these key areas of the upper body whilst the leg lift can support 250lbs. The WB-MS is clearly for an advanced gym user and, although the price reflects this, it’s still a bargain at this price due to the amount of use that can be obtained from its many features. And, although it’s slightly larger than some home gyms, advanced gym users will be more than willing to find the space for such an amazing piece of equipment. 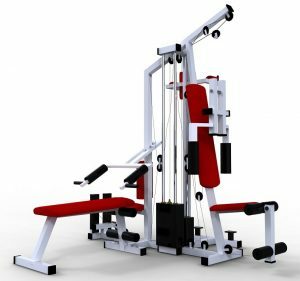 Expensive Upfront Costs – In the long term, you may end up saving money as opposed to constantly paying a gym membership, but do you have the upfront funds to purchase an all in one workout machine? If not, the only way to purchase one is to land yourself in debt and that’s never recommended. Not a Space Saver – All in one workout machines take up a significant amount of space and can’t simply be folded up and stored in a cupboard. They’re always going to be in your presence and can’t easily be ignored or shunted to the side, so, you may struggle to house them if you have a small living area e.g. an apartment. Dangerous ­– Due to their large size and weight, all in one workout machines can be dangerous enough for adults to bump into or trip over, but for young children this risk is multiplied ten-fold. Whilst there’s little damage that can be done by bumping into a compact stepper, a child running at high speed could easily lose teeth when hitting a multi gym. Difficult to Transport – Getting an all in one workout machine home isn’t easy, so it’s likely to ratchet up the costs even higher by paying for a delivery company to deliver it to your home. And, if you live in an apartment block, it may even be impossible to transport it via the lift and, almost definitely, the stairs. Therefore, you need to take your surroundings into account and your ability to transport the machine – particularly if you move or ever decide to sell it. 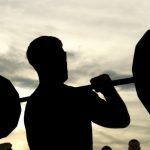 Hopefully this article will serve as a guy to help you decide which is the best all in one workout machine for you, and whether they are right for you in the first place. 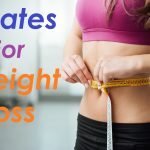 If you’re looking to build muscle from your workout, you need to focus on low repetition, high weight, aerobic exercises, and a multi gym is an excellent way to do this in the comfort of your own home. One of the key factors in success is finding a program that works for you, and that you can stick to over the long term. Eliminating the need to go to the gym is a fantastic way to make your routine easier and ensure that you stick to it. Even a few reps of different weight bearing exercise each day can make a massive difference in the long term. And you wouldn’t bother going to the gym to do that.